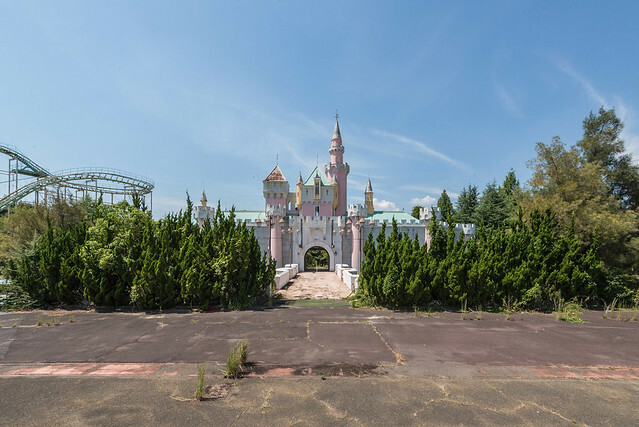 French photographer Romain Veillon documented the after-life of Dreamland, a theme park built in Nara Prefecture in 1961, that was expected to become Japan’s answer to Disneyland. But its fate was sealed when both Disney and Universal Studios opened up their own parks in nearby Osaka and Tokyo. Closed in 2006, it lay dormant until it was razed in 2016– just after Veillon’s photos were taken. 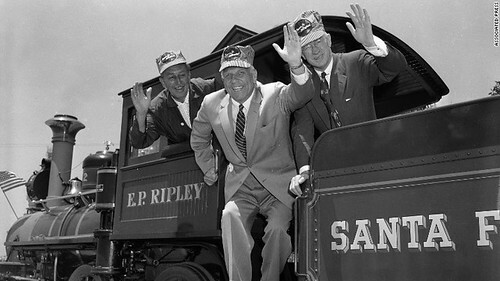 As we contemplate an E Ticket, we might recall that it was on this date in 1955 that the Atchison, Topeka & Santa Fe Railway signed a five-year contract with Disney, agreeing to pay $50,000 per year in exchange for Disney’s use of the name “Santa Fe” and company logo on all Disneyland trains, stations, literature, etc.